Liverpool are eyeing trio star players Real Madrid striker Karim Benzema, Lilli defender Simon Kjaer and Barca defender Dani Alves, according to Metro. The reports have already linked Liverpool with Real Madrid star Karim Benzema in the winter window which ended last month. The Reds are struggling in front of goals this season with Mario Balotelli, Rickie Lambert and Fabio Borini all failed to fulfil striker’s duties. 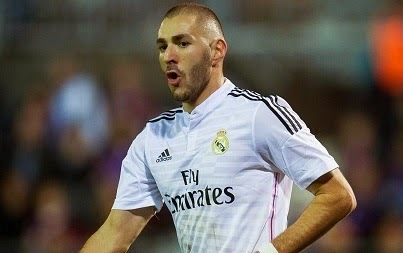 Liverpool boss Brendan Rodgers is keen to strengthen his attacking areas for the next season with the signature of Karim Benzema. The Reds are planning for a £34.5million deal for the Frenchman. Also, the reports claim the interest for Lille defender Simon Kjaer from Liverpool who have sent scouts to keep an eye on the Danish defender. The Danish reports also claimed interest from Serie A side AC Milan and Juventus. Meanwhile, Barcelona Brazilian full-back Dani Alves is also being eyed by Liverpool. Manchester United are already chasing him for the summer free deal as the player will be out of ontract in the summer. But Guardian reported that French giants Paris Saint-Germain are likely to beat the English outfit for Alves. Alves travelled to Paris last week for discussing his possible summer move.